Paddington Bear is now off on his bike! 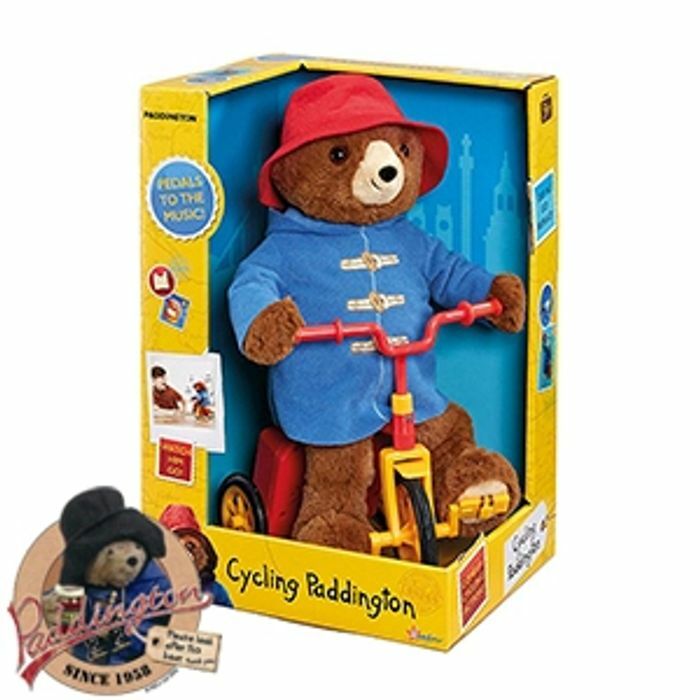 There is plenty of fun and adventures to be had with this awesome Cycling Paddington as he cycles around randomly on his red bicycle to a catchy tune! The adventurous bear that wears his traditional blue coat and red hat, pedals along with the fun-style music, randomly changing direction as he goes!